Derek Corrigan, the NDP-allied mayor since 2002 of Vancouver suburb Burnaby, doesn’t mince his words. At its Jan. 13, 2014 meeting, Burnaby city council unanimously voted to oppose the expansion of coal shipment facilities at Fraser Surrey Docks and North Vancouver’s Neptune Terminals, until a more comprehensive, transparent and independent health assessment and public hearing process happens. The meeting came two days after a train derailed in Burnaby, spilling coal into a creek. Port Metro Vancouver is pushing for development of a direct transfer coal facility at Fraser Surrey Docks. In an attempt to quell opposition, SNC-Lavalin was hired to conduct this Nov. 18, 2013 environmental assessment study. The chief medical health officers at Fraser Health and Vancouver Coastal Health said the draft “fell well short of adequately addressing the human health impacts” in this letter to Port Metro Vancouver. “More and more I’m beginning to feel like British Columbia is becoming a banana republic. Over and over again we see decisions being made by bodies that are not independent. “Port Metro Vancouver is conducting this environmental assessment, the majority of directors on Port Metro Vancouver are appointed by the very companies that stand to economically benefit from these decisions. And so here you’ve got a board of directors appointed by the companies that is in charge of the environmental assessment to determine whether they’re going to make more money. So they go out and hire SNC-Lavalin to do the report for them. “Now SNC-Lavalin has done more to bring Canadian engineering into disrepute than any company has ever had the misfortune to do in the history of Canada. This is one of the few Canadian companies who could attain the high goal of being banned for 10 years by the World Bank for corruption. This is a company that is up to its earlobes in corruption in Montreal right now in the investigation, and yet here in B.C. they’re the independent organization brought in to do environmental assessments for the very board appointed by the companies who benefit from the environmental assessment. This is crazy. This is completely losing control of any public interest in these kind of projects whatsoever. “So here we are with the Fraser Surrey Docks being utilized to bring in American coal that’s been refused in American ports to be shipped overseas. Meanwhile, meanwhile, they refuse to short-sea ship any of the containers of goods that are arriving in our port each day so that they could be easily moved to distribution centres in Surrey and Langley. So instead of moving goods down the Fraser River so that we can move them more efficiently, not taking that traffic through our cities, instead we’re bringing dirty coal in, shipping it to barge to Texada Island and then shipping it to China as if we’re not all sharing the same airshed, and that that dirty coal isn’t going to blow right back into our atmosphere. It’s insanity. “And then they wonder why politicians have such difficulty in trusting the machinations of our senior orders of government, the ones that are given all the constitutional authority to be able to impose their will on local municipalities. it’s incredibly frustrating. “Those of you out there who read a little bit about SNC-Lavalin and their reputation would not be saying to us what a great idea it is that they’re given the task of doing an environmental assessment to protect the interests of citizens in our country. They certainly haven’t been protecting the interests of people all over the world or the world bank wouldn’t have banned them from utilizing any world bank funds. UPDATE: Port Metro Vancouver government affairs director (and federal Conservative strategist) Marko Dekovic Tweeted me, claiming it was Fraser Surrey Docks, not Port Metro Vancouver, that hired SNC-Lavalin. “The project proponent did,” he said. Port Metro Vancouver has had business relationships with SNC-Lavalin and even hired away one of its executives. According to supplier lists obtained via Access to Information, Port Metro Vancouver paid three divisions of SNC-Lavalin $604,314.97 for the 2012 fiscal year. Port Metro Vancouver’s vice-president of infrastructure delivery, hired in 2011, is Sheri Plewes. Plewes joined PMV from SNC Lavalin’s Vancouver-based Transportation Division, where she was senior vice-president of transport. SNC-Lavalin’s highest-profile Vancouver-area gig for now is the Evergreen Line SkyTrain expansion. As a matter of record, on Sept. 12, 2013, as part of its Project Permit Review process, PMV requested that FSD further mitigate concerns over fugitive coal dust from trains, the terminal and barges as part of their proposal. PMV also required FSD to submit a revised project scope and address environmental impacts in an Environmental Impact Assessment (EIA). A 30-day public comment period on this technical document ended Dec. 17, 2013. 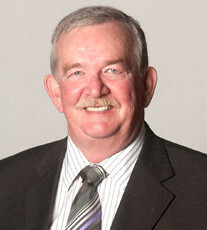 During a Council meeting on Jan. 13, 2014, Burnaby Mayor Derek Corrigan made statements about Port Metro Vancouver (PMV) and the proposed Fraser Surrey Docks (FSD) Direct Transfer Coal Facility Project. Mayor Corrigan suggested PMV hired SNC-Lavalin to conduct the required Environmental Impact Assessment (EIA), implied the Board of Directors stand to benefit from the project; and stated that coal from Wyoming’s Powder River Basin has been rejected by American ports. Below are four key points where the facts were misrepresented. Statement: The Port Metro Vancouver Board of Directors will financially benefit from FSD approval. The Facts: The Board of Directors will not benefit financially. As a non-shareholder, financially self-sufficient corporation established under Canada Marine Act (CMA) legislative authority, PMV’s Board of Directors is appointed to provide strategic and policy direction. The board does not make individual permitting decisions. The Board delegates authority of individual permitting decisions to PMV senior management, which are guided by, and fully comply with the Canadian Environmental Assessment Act and the Canada Marine Act. On an annual basis, the Board of Directors and Executives acknowledge in writing that they have read and understood the organization’s Code of Conduct (Schedule “E”) of Vancouver Fraser Port Authority’s (VFPA’s) Letters Patent. This Code establishes clear conflict of interest rules and Board Members must disclose any potential or real conflicts of interest. Furthermore, City of Burnaby is a municipality listed in the PMV’s Letters Patent under the CMA, and as such, the City of Burnaby and Mayor Corrigan are formally involved in the process of appointing the Municipal appointee of PMV’s Board of Directors. Statement: Port Metro Vancouver hired SNC-Lavalin. The Facts: This statement is incorrect. The fact is that PMV required Fraser Surrey Docks to conduct an Environmental Impact Assessment (EIA) as part of the Project Review Process.The decision by FSD to hire SNC-Lavalin as the EIA consultant was made by the project proponent and not PMV. It is standard practice that regulatory agencies such as municipalities or health authorities do not direct or pay for consultants that conduct EIA’s on behalf of project proponents. PMV was not involved in the decision to select SNC Lavalin. Statement: Coal destined for the proposed project has been refused by American ports. The Facts: The claim that coal from Wyoming’s Powder River Basin has been rejected by American ports is untrue. The facilities to handle increased coal exports currently do not exist on the U.S. West Coast, but several project proposals are currently under review. This includes the proposed Gateway Pacific Terminal (Cherry Point, Washington), which will handle 48 million tonnes of coal per year. Currently the United States exports more than 100 million tonnes of coal a year. The approval process for major new greenfield projects such as the Gateway Pacific Terminal is extensive, and involving multiple levels of review and far-reaching consultation for many years. Statement: Port Metro Vancouver refuses to “short-sea ship” goods or cargo to regional distribution centres. The Facts: Short-sea shipping is currently being utilized across the PMV jurisdiction where it is feasible, in addition to transport by truck. In fact, it is something that is actively undertaken at operations such as DP World Container Terminal on Burrard Inlet. Short-sea shipping is market driven, and the challenge that exists is that there is not a strong business case in our region. PMV is currently reviewing the FSD proposal and taking into consideration comments provided by consulted agencies (Federal, Provincial and Municipal), First Nations, public and other interested stakeholders as part of the Project Review Process. Shipping more coal to China? I thought LNG export from BC was all about allowing China to REDUCE its coal usage. The ‘Carbon-Neutral Govt’ wants to ship more coal? Then why is the BC public sector still forking out $millions to purchase carbon offsets? The Mayor of Burnaby rocks! Great speech and agree with every word! Thank you for covering the story. B.C. might want to give exporting coal some second thought. China’s ongoing pollution is now hitting the west coast of North America and it is not doing our lungs any good. That smog caused by all the manufacturing in China is not staying in China. Its coming here. Coal dust is not a good thing. Just ask all the coal miners who died from it. Making all the money in the world isn’t going to help. if you die young. China paid for 800 hectares of crown land, near Prince Rupert. That is for China to build a LNG plant and an export terminal. Canada has become a, cesspool of corruption. BC is the most corrupt province in Canada. The Campbell/Clark BC Liberals, work for Harper. All dictators have the criminal element, to do their dirty work for them. So. SNC Lavalin is corrupt to the bare bones and of no surprise to BC citizens nor, the rest of Canada’s people. Most Canadians were brought up in, the good, decent democratic Canada. Our Canada is no longer that country. We must change our mindsets to, only expect the worst from Harper and the Campbell/Clark BC Liberals. Harper is the one and only Canadian PM, to be held in contempt of Parliament ever. He’s 1000% correct on this one!!! Great work Mr. Corrigan. Right on the mark. Thank you very much. However, I wont hold my breath hoping for an in depth investigation by our current mainstream media. They have a big responsibility and they aren’t (in MOST cases) living up to it with any regularity at all. Its a target rich environment in this province with regard to government falling very short of its responsibilities to ALL citizens (I realize that a few of our brothers and sisters are very well served by the government). Our media aren’t taking many well aimed shots at all. They should be doing much better. Thank goodness for the blogs. SNC Lavalin holds the technical patents for the proprietary ICTS/ALRT/ALM/ART (Skytrain) transit system; no SNC, no SkyTrain. Bombardier holds the vehicle patents for SkyTrain; no Bombardier, no SkyTrain. Here is probably one of the greatest conflicts of interest under the BC Liberal government, that the Canada Line had two SNC Lavilin bids, bidding against each other as both Siemens and Alstom were dropped from the bidding process, SNC Lavilin would have won if either bid was accepted, which lead judge Pittfield, during the Susan Heyes court case, call the Canada line bidding process a charade. I can’t say I have ever agreed with Mayor Corrigan, but I do this time. Coal exports, particularly coming from the U.S., should not be transhipped through BC. Period. The Port’s proposal to use Fraser docks to Texada Island, then to Asia is outlandish and just abhorrent. An environmental catastrophe waiting to happen. Just awful! Bob, there is one step in the career path of Sheri Plewes that I believe you missed. She was a senior staffer at Translink in the Pat Jacobsen era. I was wondering where she went after leaving Translink, I should have known, that SNC would be the place for a soft landing for X Translink staffers.